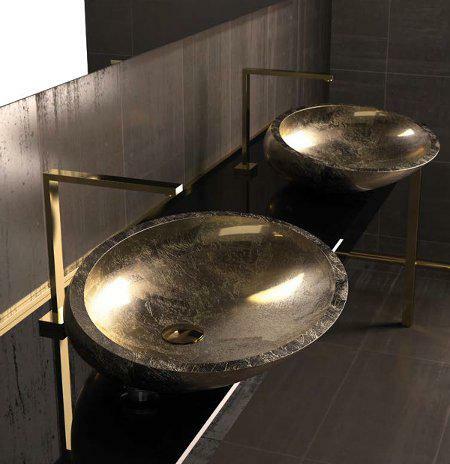 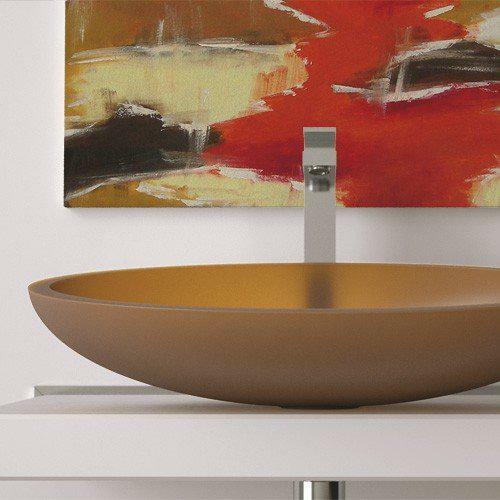 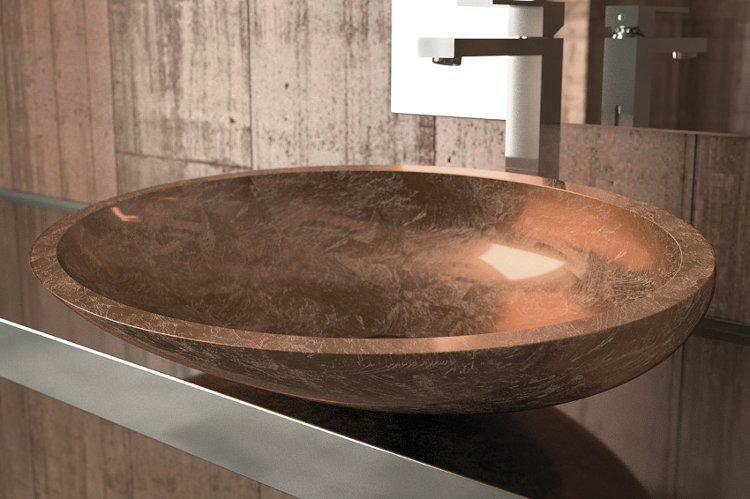 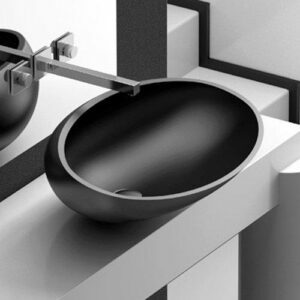 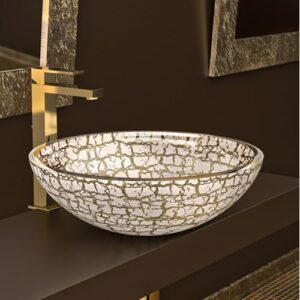 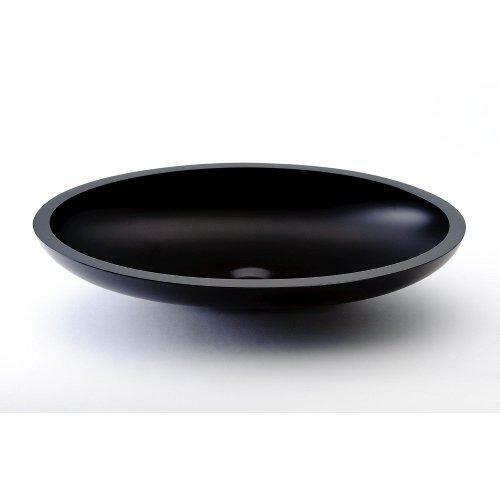 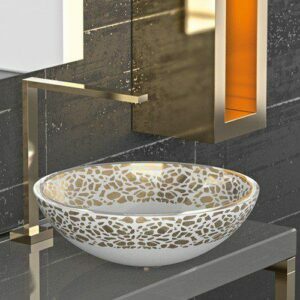 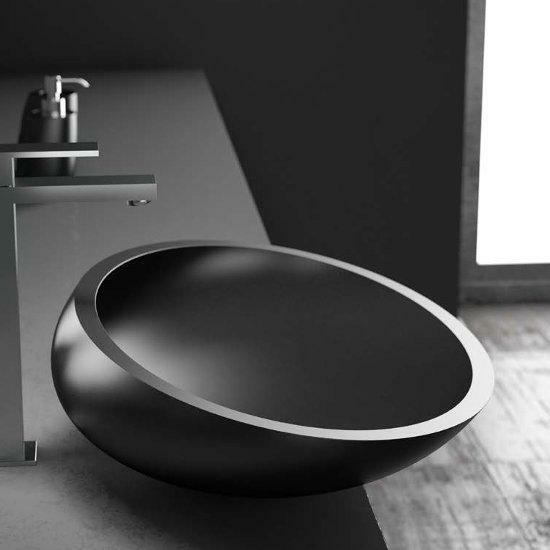 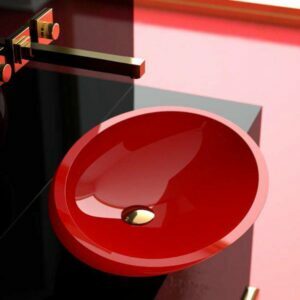 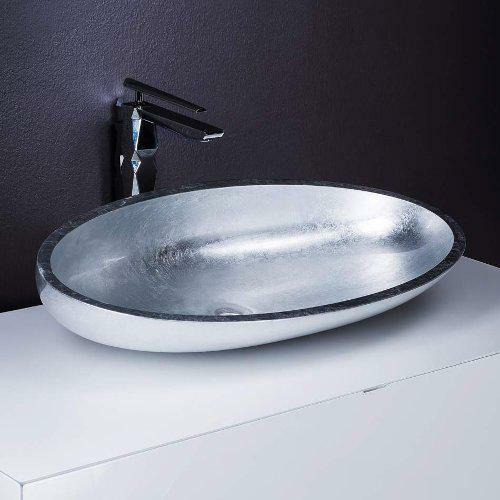 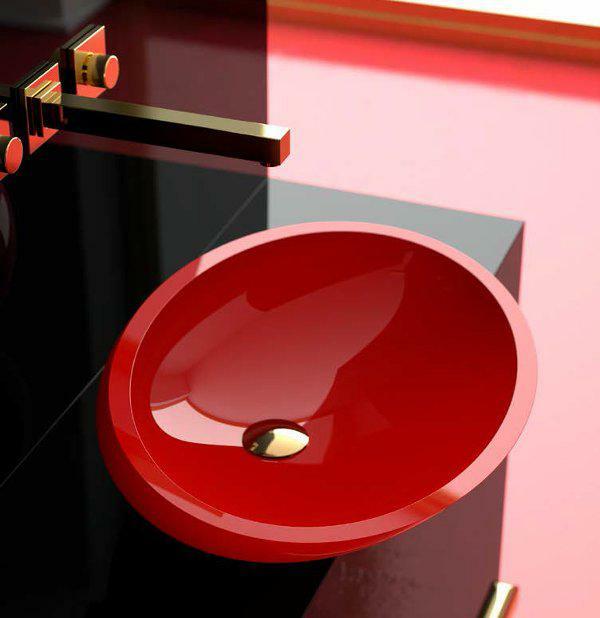 KOOL exclusive design countertop washbasin in VetroFreddo®. 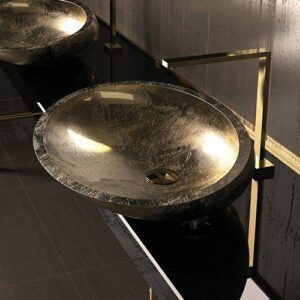 The inclined cut and its enchanting outline can make the bathroom unique. 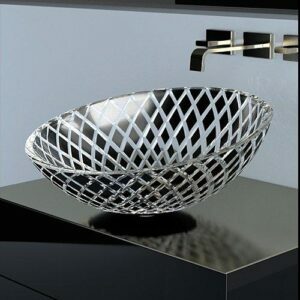 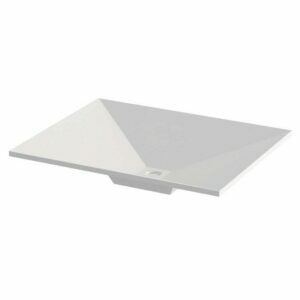 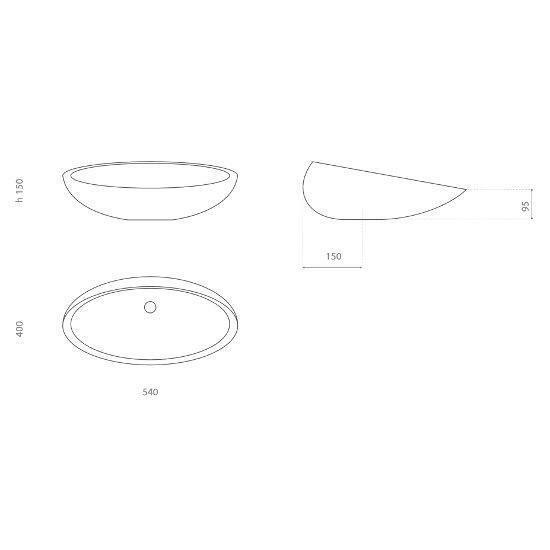 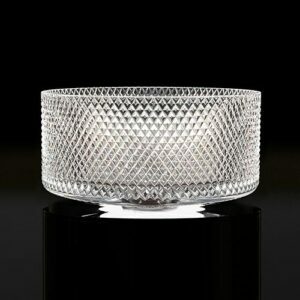 Its shape allows matching even on narrow depth furniture. 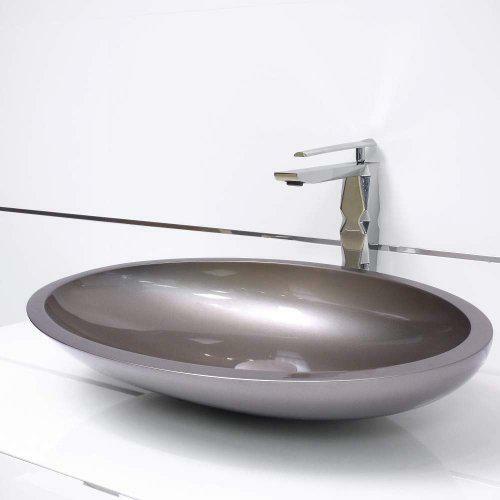 Different chromatic solutions from full opaque colours to matte, up to glossy colours and real leaf finishes. 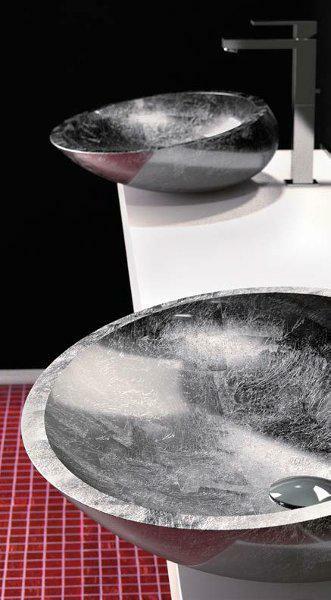 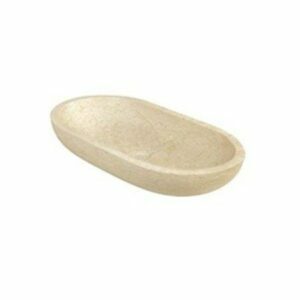 The material VetroFreddo®, is made for easy upkeep.